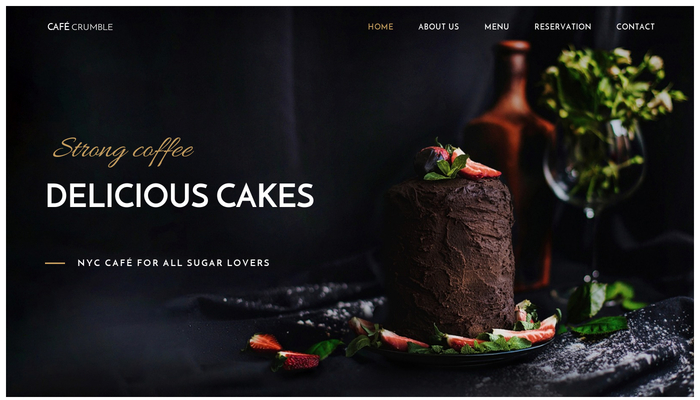 Show off your sumptuous desserts and delicious coffee with this eye-catching template. Ideal for cafés, bakeries or candy shops. 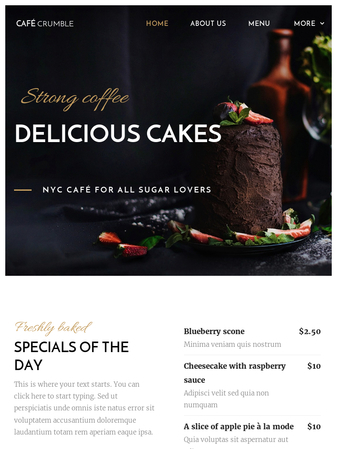 With new decorative fonts, a simple reservation form and tempting pictures, the line to get into your café will wrap around the block.